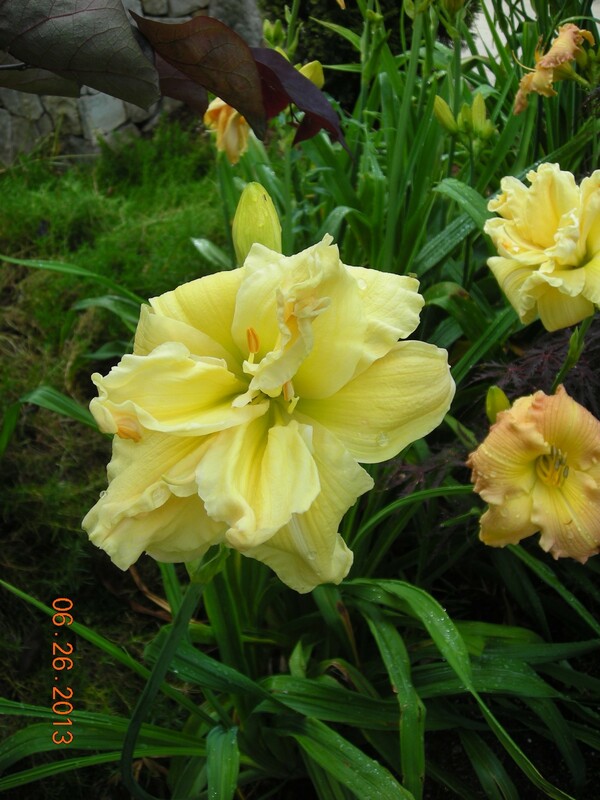 A thousand thanks to Carolyn Albright of Hillside Day Lily Farm who introduced me to the glorious world of day lilies. A selection of some of the day lilies in the therapeutic landscape in the courtyard of Behavioral Health. 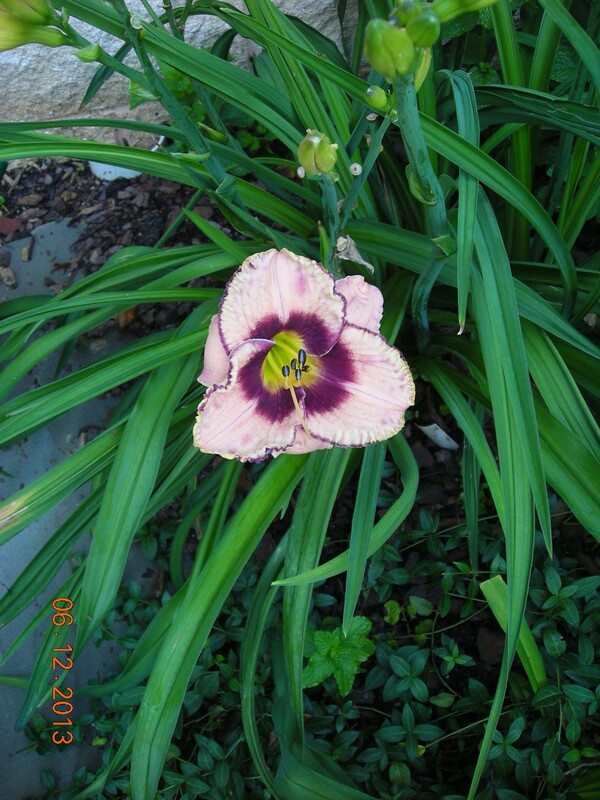 Becky Springer (former president of NAMI and volunteer at ARMC) helped me plant all 23 day lilies in the courtyard. We made a map of where we planted each one in the landscape so that as they started to flower in late May, we were able to identify each one. 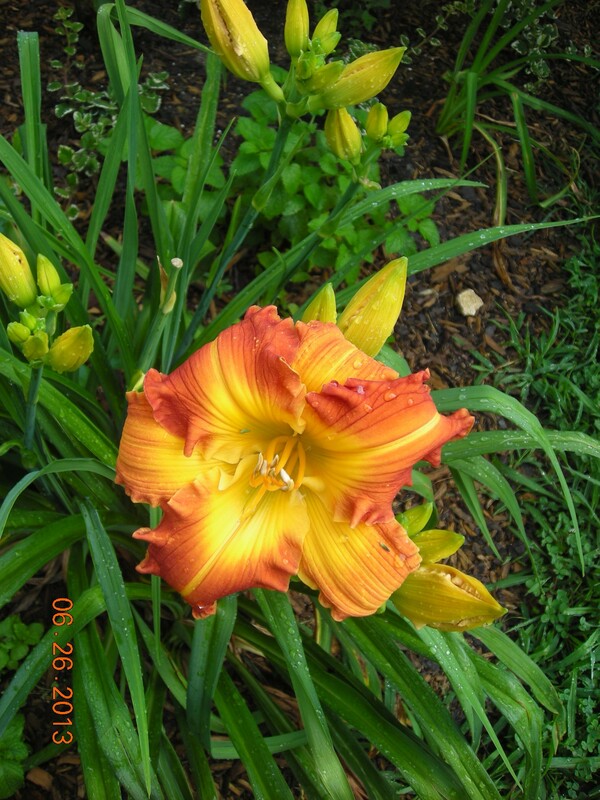 Up until this time, my knowledge of daylilies was limited to Stella de Oro and “ditch lilies”- that is the orange day lilies we see blooming all over the country side, in early summer in North Carolina. So while I was very grateful for the donation of day lilies from Carolyn, I had no concept of how magnificent and beautiful day lilies are and the tremendous impact they would have in our healing landscape. 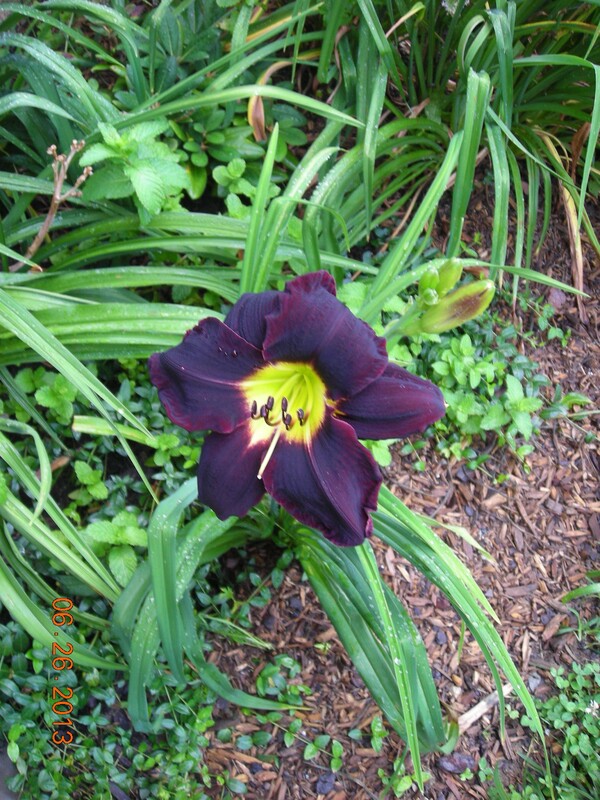 I knew that each day lily blooms for one day, and at the end of the day-that was it. Gone. 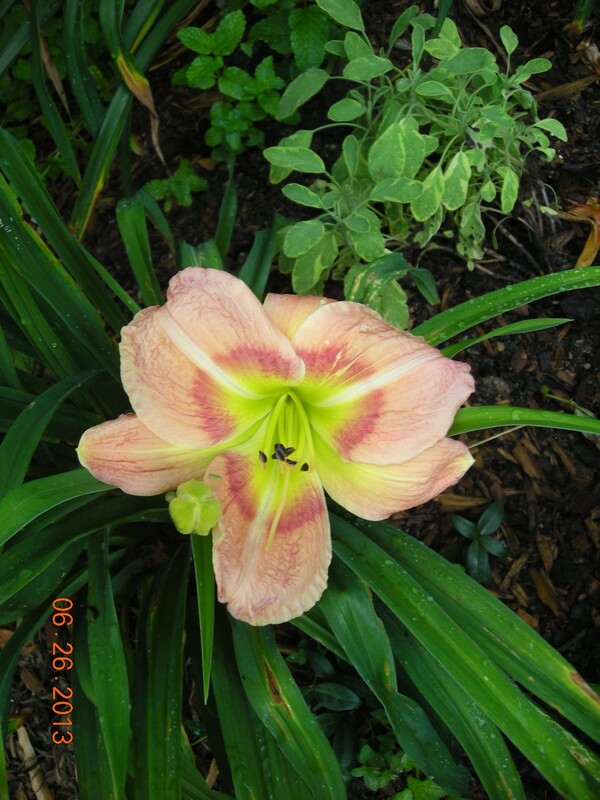 What I failed to appreciate was that a combination of different day lilies will give blooms all summer long and even into fall. 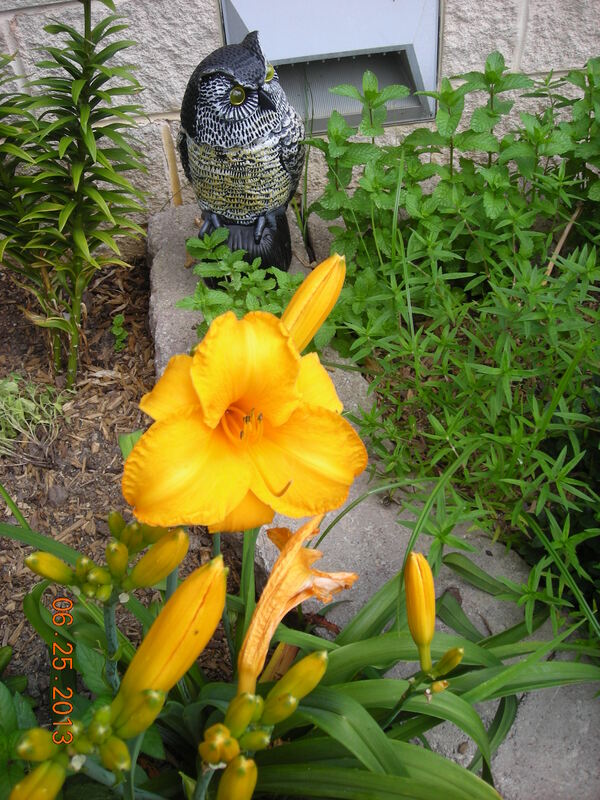 Carolyn gave us early, mid summer and late summer day lilies, so that we had blooms from May until September. We had reds, peaches, pinks, oranges, yellows, deep purple, lilacs, whites, creams; single and double flowers; rippled petals, petals edged in gold , deep red, green, bi-colors, solid colors, different colored eye zones, different throat colors, different throat colors with halos and colored eye zones, large blooms from 7″ to 3 1/2″ , tall, medium and small scapes. 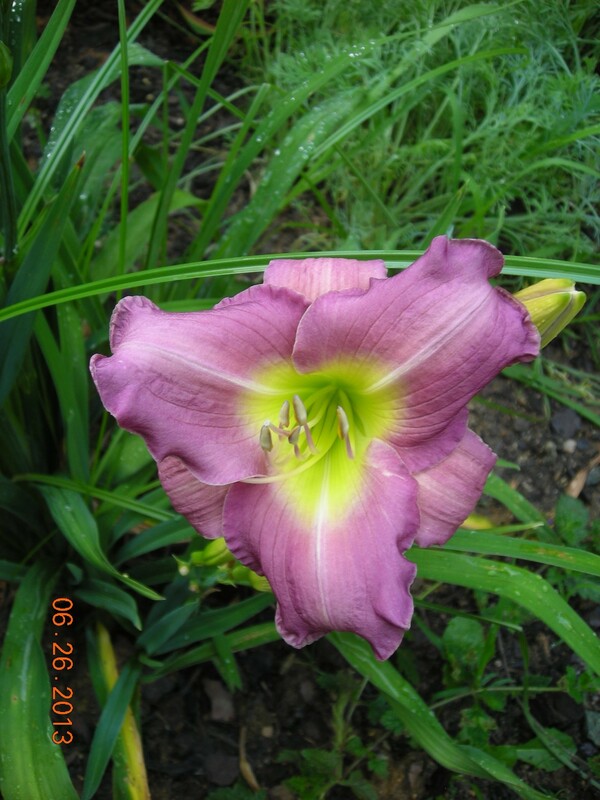 These are some of the day lilies we planted in 2012, which I photographed in 2013. You can see how well they adapted to their new surroundings. 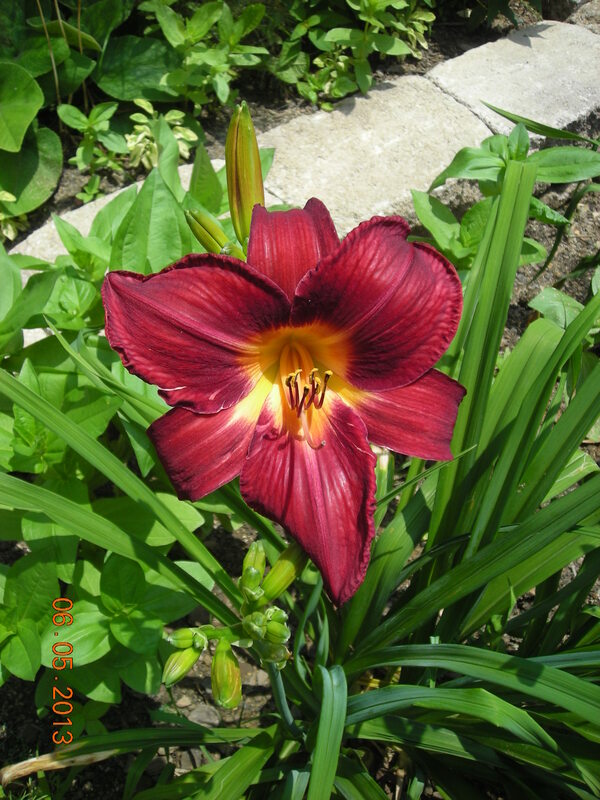 Did I mention that day lilies are easy care and grow larger each year? They need at least 6 hours of sunlight a day to bloom.